The Stamp Man: Our 20% off sale ends next Wednesday, 29th February!! Our 20% off sale ends next Wednesday, 29th February!! Everything on our website, including all the new items, are currently reduced by at least 20%, this sale ends on Wednesday 29th February, so if you have your eye on something, now is a good time to place an order. The discount has already been deducted from the prices and there's free postage and packaging on orders over £20. 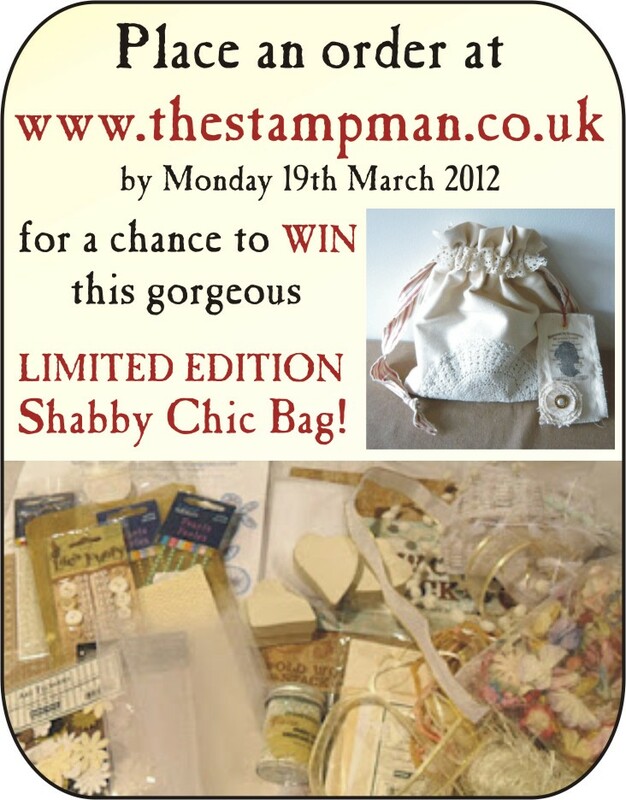 All orders placed online before Monday 19th March are automatically eligible to enter the prize draw for this beautiful shabby chic bag full of shabby chic goodies! I've added more new stuff to the website that I'll tell you about later.